I previously wrote a positive review and was fortunate enough to hear you guys give me a shoutout and read my review. I wasnât expecting it and was a fun surprise. Great coverage of SW celebration as expected. I loved the teaser trailer dissection as well as the show âWisdom of the Forceâ. Since my last review Iâve pretty much listened to the entire back catalogue. As my favorite SW podcast I can only hope for you guys to start doing more shows per week. Keep up the good work! I was looking for a great podcast to catch me up to my husbandâs level of nerd. After testing out a lot of podcasts, this is the one that was the best.Pros: - sound quality is fantastic- content is relevant, interesting, and in depth- Albert and Jonesy work as a team so much better than many others Iâve listened to. Normally thereâs a lot of talking over each other or awkward âwho goes nextâ moments and other podcasts but these two seem to work on the same wave length. - they have a fantastic sense of humor- family friendly (can listen to it in the car with my kids)- updates weekly - they have great online presence and host a very funny community on DiscordCons:- nothing. Iâm a complete fan-girl. Love the comic book coverage! Love the new comic book coverage! Love these guys, they know everything there is to know about Star Wars. They always have great insights and all of the up-to-moment news - my favorite part. Great listen! This podcast does a great job bringing updated Star Wars news and reactions to their listeners. However, In depth character dissection episodes is where this podcast excels! Both hosts work as a tandem in order to flesh out full character arcs while providing multilevel character insights and development. After listening to the dissection podcasts, I have gained new perspectives on long standing Star Wars characters. The hosts also do a fabulous job unlocking new depths of Star Wars character development in characters I originally thought were one dimensional. They really do their homework and always bring thought provoking angles to their character dissections. Fantastic job! Keep up the stellar work. The two new hosts of the Cantina Cast are absolutely great. Now, don't get me wrong, Mike and the other guy were great in their own right. It's nice to hear a fresh persepective on all things Star Wars. Not only has this podcast stayed out of the mess that a lot of the Star Wars fandom and other Star Wars podcasts have stepped in, but Albert and Jonesy approach Star Wars in a way that is not only fresh, but highly entertaining. These guys make me laugh, think, and remember what it means to be a part of one of the greatest fandoms ever. Thanks to Mike, the podcast always sounds crisp, clear, and on point...like a smooth mountain stream on a sunny Summer day. If you're not listening to these guys, you're Star Wars-ing wrong. I miss Mike and Joa but the new guys arenât afraid to read a comic or book and add the knowledge acquired to their dissections. Nice show, but I wish it dove a bit deeper into the details and ideas that are present in the films. It can seem a bit surface at times. A well thought out show that dives deep into the Star Wars galaxy! The guys obviously love the franchise and put a lot of effort into both content and quality of the show. They absolutely deliver on the thought-provoking Star Wars promise! This show was utterly disappointing and left me looking for something to erase it from my memory. As a Star Wars fan base we analyze and critique and discuss the details. This show is for us. The previous hosts, Mike and Joao, established a show unlike any other out there. And itâs clear that new hosts Albert and Jonesy have kept the spirit of thought provoking discussions and in-depth analysis alive and well. I challenge you to listen to Episode 232 and 232 (Force pt. 1 and 2) and not be hooked. Perfect show for established fans that like to sift through the details or new fans that want to expand their knowledge of a galaxy far, far away. This is the best Star Wars podcast out there. I found it by accident and was hooked from day 1. They talk about the stuff Iâm interested in when it comes to the Star Wars universe and the psychology and character dissection episode are unique and an amazing idea that really puts the podcast in a category all in its own. Literally every week when the episode drops that morning I immediately download so I can listen at work. You can tell these guys are real fans even though mike and Joao are gone Albert and jonesy will do fine. It feels like if me and my friend were going in deep on a Star Wars conversation and someone hit record. One suggestion is that even though mike is taking more of the producer role I think you should still join in on the solo movie review episode because if youâre not Iâm just gonna wonder what mike would think and say. PLEASE!!!!!!!!!!!!!!! MIKE!!!!!!!!!!!! Used to listen to every new episode and was pumped when they came out. Character dissections were great, trailer breakdowns, reviews etc. After The Last Jedi came out, the main guy continually degrades the movie, at least 10 times per episode he brings up how he hates parts of it, anything negative brought up about any other Star Wars property heâll say something about itâs not as bad as The Last Jedi. If you donât like The Last Jedi youâll probably like this podcast. A lot of us love it and it becomes super annoying real fast when you constantly say how much you donât like it. We get it, itâs not your favorite. I had to unsubscribe. May try again at a later date as content was pretty good. Just cut the negativity please. At one point The Cantina Cast was by far my favorite Star Wars podcast. But in recent months Mikeâs apathy towards the franchise has eradicated all joy and excitement from the room. The discussions have become far more negative. The podcast is now a chore. At its best The Cantina Cast will provide you with a dose of criticality, but what you will more than likely find is a doldrum brought on by consistent whining about choices made by content creators. Rebel Force Radio and Full Of Sith are much more enjoyable listens and now my preferred Star Wars podcast alternatives. Finally unsubscribed. Constant complaining. They dislike everything. Now that the host is moving on maybe it will get better. Iâm not about all their negativity. I once listed for analysis but sadly theyâve moved away from that and itâs mostly just stomping on everything. Moving on. The Cantina Cast has changed so much since it first launched [for the 2nd time] in 2013. Not just in style, but in hosts as well. Star Wars itself has evolved so much in just 4 years and so, we, as a fandom must follow suit. The main host, Mike has transitioned his show with the times and like Master Yoda says: the greatest teacher, failure is. MTBWY. Becca B. Host of Tarkinâs Top Shelf and Kanataâs Castle. These guys just hate all over every trilogy. Not sure why they are doing a Star wars podcast at all. They hate the new movies (for the dumbest reasons) as well as the original and prequel trilogies. I listened to them for about 2 months before I couldn't take anymore and found better podcasts (Rebel Force Radio and my favorite, Full of Sith). These are the kind of elitists that think that by saying that they don't like something it makes them better than everyone else. Listen Mike, no body wants to listen to a podcast that is crapping all over something that they enjoy. It's just not good radio. The host Mike makes this podcast unbearable to listen to because he always says, "What do you think", "But anyway" and âI donât knowâ AT THE END OF EVERY SENTENCE HE SPEAKS. If you can somehow get past Mike, which is almost impossible, the show has great information and theories on Star Wars. Because I hear "...and stuff like that." about every 5 minutes. PLEASE, for the love of GOD, eliminate that verbal vomit. I started out with 12 Star Wars related podcasts to see which ones were the best, and this is one of 3 I always keep in my feed. They're also great to go back and listen to since they discuss mostly characters and themes rather than just news. Joao and Mike's keep it real, delving deep into the mystical and religious influences woven into Star Wars. It's engaging stuff even if you already know enough about that stuff. Favorite Star Wars podcast, you guys do a great job! When âThe Last Jediâ discussions settle down I would love to hear an episode on your favorite & most powerful force-user rankings! Get show pulliing news and fan insights together each episode. I never miss one. Love the show and looking forward to more to come as the saga continues. Don't have an opinion or else you will be banned. Iâm a big SW fan and have tried several SW podcasts (even the most popular ones) but the Cantina Cast is my favorite by far. The production is excellent (nobody is on Skype with awful audio), the hosts have good chemistry and donât force anything. If I had to grade content, it would be A+. While I donât agree with everything (this is Star Wars after all), I certainly gain new insight every time. Joao can make any topic interesting; Mikeâs honesty and delivery always delivers. Like Star Wars? Well hello there - this is the podcast you are looking for. Fun topics that no other channel has which is fun and refreshing. Scared to be critical of things in the SW universe. Heavily promote and discuss their Discord channel which contains fans who refuse to have any critical discussion of SW. If you donât like a certain game or book or movie (especially movie) the Discord channel can quickly become a one sided conversation. Put bluntly, like everything or donât listen and, above all else, keep your opinion to yourself. Great podcast. I never miss a week. Love the character dissections! Subtract one star for . . .
Love the podcast I have a small question. These guys donât get enough love. I recently became a patron of this podcast so before deleting the layman non-premium version of the channel I wanted to leave a review.I love everything about this show including their signature mispronunciations and nervous ticks that make these guys so relatable on a human level. Rather than correcting you on a certain YouTube channel name by informing you that itâs âNerd-istâ and not âNerd-i-estâ or make you self conscious by pointing out that you could make a very interesting drinking game out of how many times you say âbut anywayâ or âbut weâll have to talk more about that laterâ when you get ahead of yourself or get side tracked, I just wanted to send some positive force vibes your way today by saying thank you.May the force be witchoo 2. Type of folks you wouldnt mind being stuck in line with at con. No idea what their accents are, though. Great conversation, this episode really refocused how I thought of the character. Iâm listening to all the other psychology episodes as well!Thanks for the great discussion and looking forward to your TLJ feedback.Will you binge watch rebels once itâs done?Thanks guys for all your hard work - it makes my stuck in traffic commute much more enjoyable. Rebels bashing and negativity for the 15 minutes greeeaaattttt. With this podcast. Keep up the great work ! Discovered this podcast recently and love it! The hosts are just enthusiastic fans like the rest of us and you can tell they are passionate about the subject, which isnt always the case with these podcasts. Definitely recommend! Man, this podcast is good! The character dissections and âPsychology of...â episodes are my faves. Great analysis - almost like a soft entry to literary analysis... only with Star Wars which is primarily movies instead of books. Great way to pass the time and fill my head with âcockimeany theoriesâ about âWho is Rey?â, âWhat did Snoke do to Kylo Ren?â, and other such things. Very entertaining. Mike and Joao produce a thought-provoking podcast that extends beyond what is relevant at any given news moment. The character dissections, in particular, pick apart motivations and experiences across the saga that encourage the listener to think about our favorite characters in new and challenging ways. Do they sometimes go off on wild tangents and speculatory paths? Absolutely! But that's half the fun. The guys clearly plan and care about the product they produce, and it comes across in not only the discussion, but the audio quality and editing. To top it all off, they're active in the Cantina Cast Discord server, which isn't limited by a pay wall, encouraging fans to interact and speculate away. It also has some of the best intro/outro music! You can't go wrong with the Cantina Cast! 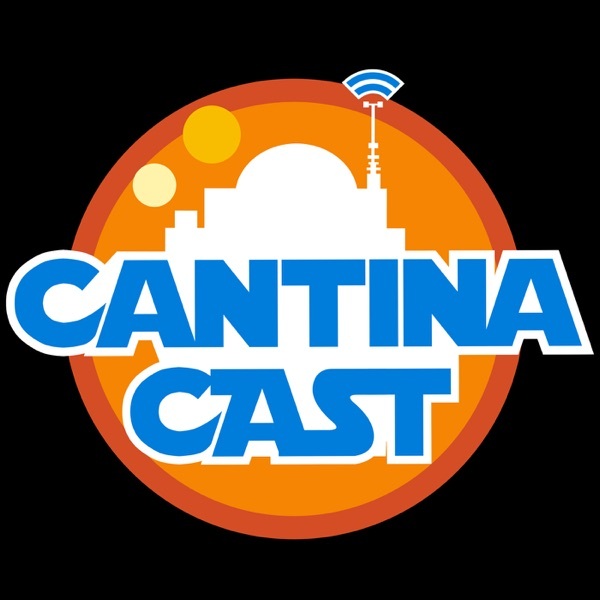 Aside from great chemistry between co-hosts the Cantina Cast is my favorite Star Wars podcast due to the timely and still timeless nature of its content.Current topics are blended with discussion of the SW universe on a whole, which means I can go back and listen to debate and discussion on SW topics that deal with the storyline.I enjoy story discussion and debate far more than "news stories" such as the latest director who was fired, especially considering the "news" cannot go beyond speculation, as investigative reporting is not a tenant of entertainment media.Cantina Cast is special to me because it is reminiscent of the literary debates of a college classroom where we would take a story, consider motivations of the author and character and then find connections to our modern day.Thank you Mike and Joa! Well worth the time - you can tell these guys are passionate and care about Star Wars. If you even feel the slightest interest in the Star Wars saga, youâll feel right at home here.